Land-FX is a professional FOREX company operating international branches in 13 countries. Land-FX was established by the industry experts with many years of broad and hands-on experience in the financial markets. Land-Fx promises to provide an optimal trading environment with stable system for every trade and to support our clients with the best possible assistance. For the safety of our clients' funds, Land-Fx chose NZ Westpac bank as our custodial account. Land-Fx believe New Zealand is a safe and trustworthy country in the financial fields. Land-Fx do their best to keep clients' funds safe and open to receive complaints 24 hours. Land-Fx believe that is an essential element for business and the company to grow. Please refer to the following Round Turn Condition table. Click here to see the bonus policy. On the contrary to Deposit Bonus, Recovery Bonus is not accepted to withdraw. 2. Contact Land-FX to have the funds transferred from your old account to the new one. One of the most affordable brokers offering ZuluTrade services. Pair it with the excellent fees for running an account and you have a decent copy/trade station. Out of being tired from my regular job, I though of trying few Fx brokers but never knew Land-fx would make me a successful trader. Cryptos have been a good addition to land-fx, love trading them with least spreads. I don’t need much for trading, simple graph, no involvement from market makers in my positions and precise stop losses take profits. Although, Ladn-FX CFDs on stocks are not among the most competitive , fx offering is solid. Don’t really care bout spreads and commissions, for me FX is just a gamle, but a friend who’s really into currency trading with high leverage once told me use an asian broker, cause they are very loyal to their clients. Half a year gambling and still haven’t lost my funds, we’ll see what happens what happens if i start making money, until then, as promised, thanks to land-fx for helping me with money transfers from a local bank. Like their versatility with payment systems in my region. Opening an account is a breeze, I like when KYC of my broker doesn’t automatically suspect I am prospective criminal. Very little technical issues, almost no slippage and decent pricing model. Looking forward for them to expand into more cfd's on stocks. Not sure what could happen to your account if you grow it faster than me, but for now, 30% yearly return has not led to Land-FX playing with my accounts execution and such. Land-FX does a good job with onboarding, the compliance is not troublesome and they don't ask you for nots not neccessary. Helped me with providing a proof of address a lot. No offence, No promotion but I love Land-fx and the way it does the business - seriously! 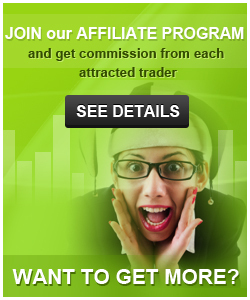 Have you ever wondered how much time does it take to find a perfect Forex broker. I spent a month on just research and around the same time on opening an account (first experience). Not to stretch this review into several pages, i would just say, there seems to bee little competitive edge among brokers, so i went for Land-FX as it turned out to be doing the most important things right without inflated prices. If you’ve got some time, you can try their DEMO and experience yourself about how reliable and efficient Land-FX is. Land-FX is one of the most underrated fx brokers out there. Coming from ASIA, these guys are fully FCA compliant. Quite, frankly a gem in the market oversaturated with "prime" brokers. I'm a footbal lover and noticed Land-FX's name on Queens Park Rangers F.C. I tried them for around four months and am happy with their services. Even if they do publish technical and fundamental research articles regularly, I wish to have some webinars and/or video tutorials from them to have a better edge over few brokers who do provide such things. Helps me with analysis. Reasonable fundamentals, not as water-down as 80% of subject matter online. In the wake of many traders switching to crypto, I am still sceptical of the practice. After all, there's so much going in the FX world atm. Hope that by offering good FX & CFD trading conditions Land-FX could sway more grounded traders to their services, so we can consistently bring Land-FX volumes up. Trading with them for the last 8mnth. I often have to travel abroad and keeping a trade account close is a must. Land-FX and their MT4 mobile integration helps to stay in touch. Pro tip: In an unlikely event of internet connection not working, use their support to manually close/ope orders. Just keep your investors pass by your side. Land-FX brought their game up a notch after getting liquidity from major LPs, while still maintaining decent spreads for the relevant CFDs on fx and stocks. I've seen companies charging heavy deposit fees but Land-FX is of different breed. 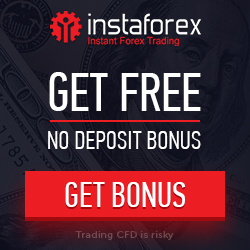 It waives all the deposit fees over $100 funds and also offers pleasing bonus offers. They sponsor my club, i gues, since i am trading, this is a best thing i can do to indirectly support our boys. Go rangers! On a serious note though, the company is legit with some roots in China - very organised operation. When you read a broker has a tie-up with ZuluTrade, it must be grabbed. I did that while joining Land-FX and am happy now. Why do people rush behind a big brand while choosing a forex broker. I can show many examples when market leaders registered for bankruptcy. Due to this, I joined a less known Forex broker, Land-FX, which offers some nice services and have processed all three of my withdrawals at a faster speed. In case if you’re looking for a small-sized efficient broker that can offer lowest possible spreads (and I really mean it), you should checkout Land-FX. Not only on DEMO, they are too precise on the quotes and spreads and I haven’t found any slippages with them. However, you shouldn’t be demanding too many pairs. You can't term a broker efficient unless it solves your query on-time. I had a serious problem with one of my trades and Land-FX was active enough to get it solved before I expected it to be. Being a professional day-trader, I always prefer less spreads and gap-ups while preferring any brokers which is also abide by strict regulations. Land-fx gave me all plus customer-centric support-team and efficient market-updates. Hence, I am happy with them. Despite the lack of cfd's on on key indecies, stock, commodities land-fx is still my first choice to trader currency pairs and gold. The logic behind my loyalty is simple - Land-FX hasn't let me down since i joined them a year and a half ago, and some of my friends seen some really nasty behaviour occurring in the industry. Then there's trading conditions for FX pairs, which are very affordable given their possible licenses and sponsorship costs Finally, the FCA regulatory status is smth i would not even change if i was offered a winning strategy, but under condition of switching to unregulated company, My point is, if you want to trader fx pairs only land-fx could be your choice. If you seek cfd's on exotic pairs, look for more established brokers with higher products range and possibly higher prices. Despite lack of some vital cfd's stay with Land-fx for FX & Indecies trading for not screwing over with clients during monday gaps and events like brexit, us elections and some nfp's. Value Land-FX recovery bonuses as well as exceptionally friendly support. Otherwise, a typical FCA regulated market execution player with wide range of FX & Indecies.